Earn passive cryptocurrency on Android. Currently, around 2 Billion phones are circulating with Android as usersystem. Pretty good chances are that you are browsing this from your phone too. Since phones are the only way to connect to internet for a lot of people, it becomes interesting to start looking into ways to earn with your phone. This guide helps you set up your phone so you can earn, with a couple passive earners, and a couple earners that you need to actively use. Most of the sites used in this guide can be used with a web browser, and I tried to pick apps and sites that use almost no internet for people on data plans. Storm link pays you to submit surveys, play games and watch ads for new mobile games, or trailers for movies and such. You can earn storm tokens (bolt) which you can exchange for BTC or other coins. One of the best earners, since it is a collection of hundreds of sites on which you can earn cryptocurrency. They boost a big list of faucets that are integrated with the site, so you can claim various coins that are pretty unknown. With the build in exchange you can easily exchange your unwanted coins for other coins that are more interesting. For example, if a black coin faucet pays blackcoin, and when you exchange it to BTC you would get 100 satoshi. But if you claim the LTC faucet and exchange the earned LTC into BTC, you only get 50 satoshi. It becomes more worthwhile to claim the black coin faucet, even if you want LTC, because you can exchange it quickly on the site with no hassle. Almost the same as Faucethub, you sign up with an account, and can use their free premium faucets to hoard cryptocurrency through clicking. Also boosts an internal exchange. One of the most popular faucets out there. Been running for years and most people use it because this faucet has no advertisements at all, making it very easy to claim on mobile. They also have a low/high multiplier game, but I recommend you stay away from it unless you like the thrill of gambling and potentially losing your earnings. There are various ways to mine on mobile. 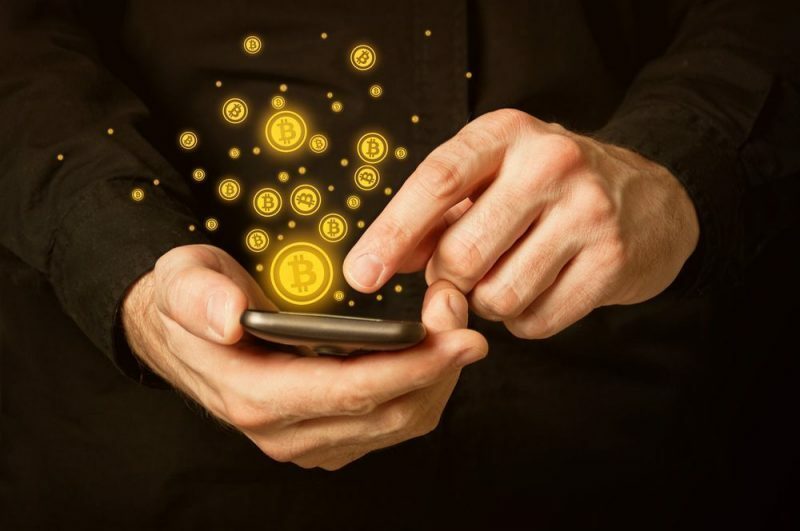 The trick is to mine a coin that has a low difficulty, or doesn't mine but uses your mobile to distribute free coins. There are various miners you can use, but most of them got pulled from the appstore. The next best thing is a browser miner. My personal favorite is the one from Faucethub because it works with one click and pays you in BTC for your mining work. You can also try mining cryptonote coins because of the low difficulty. Make sure to do research before hand on the coin, so you dont end up with bags of a coin that is not sell able. There are various ways to earn passively. The most popular ones are Mannabase and Swiftdemand, that pay you just to log in, or in the case of manna, you can just wait and check your account once in a while to see how your earnings are stacking up. Mannabase is sell able on Southxchange, which means you can transfer into your favorite coin from there. Exchange it into Manna>BTC>Your coin. The Best Sites To Find Airdrops.